Releasing Air Traffic Controller’s sophomore album and signing a new artist, Nemes, Sugarpop Records is a Boston-based label with the mindset of having an open mind. Wanting the pop industry to be filled with music that actually deserves to be listened to, Sugarpop Records believes in “carefully selecting artists that we feel WILL make the Pop world a happier, healthier place.” We were able to get in touch with Sugarpop Records to discuss their beginnings and future. How did you get involved in the music industry? DH: I just stumbled into it, really. Some years back a good friend of mine, Dave Munro was in the Navy and while overseas he was writing a bunch of songs and sending the demos back home. Needless to say, I was blown away by what I was hearing and I made a pledge to him that when he came home I was going to do all I could to help him with his music career. At the time I didn’t know much about the industry (I’m still learning every day! ), but I was confident that at the very least, my passion and work ethic along with Dave’s brilliant songs could open some doors. Once he got home he was hell bent on making an album and built a studio with his brother, but in my eyes the recording process was taking far too long, so I took two of his newest demos and sent them to one of our favorite artists and accomplished producer, Bleu. 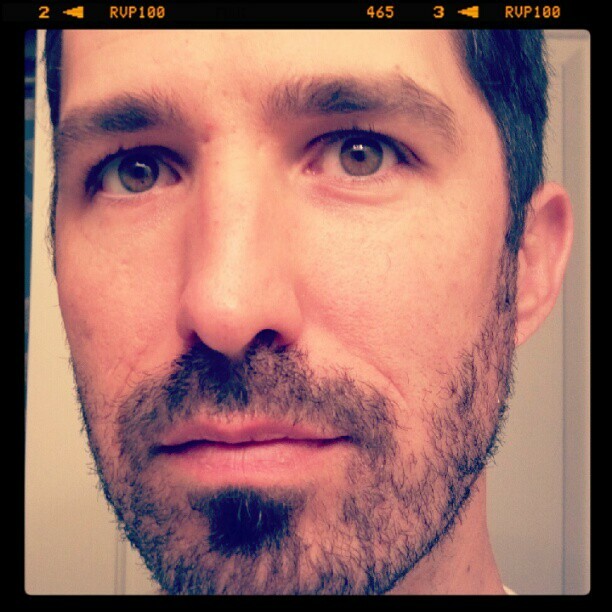 I made an impassioned plea to him on Myspace (remember Myspace?!) and not long after, he signed up to produce what would become Air Traffic Controller’s first album called “The One.” Basically, I had been serving as Dave’s Manager for a couple of years and through that we decided to launch our own label called Sugarpop Records. I approached Dave with the idea on July 4, 2009 and by the end of the year we had our paperwork filed to do business in the state of MA and we released our first album, The One. There’s a lot that goes into building and maintaining a record label. What do you find to be the most challenging aspect of your job? DH: A lot of times it’s agonizing over the moves we need to make. We’re a small independent label so we literally can’t afford to make mistakes. We have limited funds to play with and we need to be very careful about how we spend our money at this stage in the game. Where did you come up with such a spunky 50’s name for your label? DH: Haha, Spunky! It had been a nickname for my daughter and I thought it would make a great name for a label. To be honest, I was shocked that no one had used it before. Is your A&R team a small one? DH: It is small, but then again our entire team is small! Right now, the A&R focus is on our newest band, Nemes. We need to make sure we give them a big hug, get them through some of the growing pains that younger bands face, and work towards positioning them for success. We have all hands on deck for Nemes. Air Traffic Controller on the other hand has blossomed a lot over the past few years and now has a legit manager in their corner, so the A&R piece isn’t as relevant for them today as it once was, but A&R is a critical part of Sugarpop Records overall master plan. When bringing on a band are the artists put to a vote of some sort? DH: I once put a scoring system in place and told the team that if the band didn’t get a certain number of points, it didn’t make sense for us to consider them, but no one ever followed that directive…lol. To be fair, it was cumbersome and took the fun out of discovering and sharing new music. I wouldn’t say there’s a voting structure, but much like labels have done for years, we want Sugarpop Records to be known for a certain style of music, so a band first needs to fit “the sound.” I affectionately refer to our sound as Suburban Roots Rock (bands, who as kids, were influenced by many styles of music thanks to the station surfing in the back of their mom’s mini-van). Still, the most important things for us in a band are: 1. Great music. 2. Work ethic – we’ve got an awesome team over here at Sugarpop, but we can’t do it all. The bands we sign must keep grinding and do whatever it takes to accomplish their goals. We are not interested in bands that want to lay low and let Sugarpop do all the lifting. 3. Professionalism – yes, rock stars can be reckless and free spirits, but this is still a business and bands can’t lose sight of that. For all the drugs and mayhem a band like Aerosmith went through, they still had the wherewithal to make sound decisions along the way. You don’t have a 40-year career without paying some mind to the business decisions that need to be made. If you could choose any up and coming artist to add to your label, who would it be and what would you say to convince them to join Sugarpop Records? DH: Whoa, what a question! The first band that comes to mind is Delta Spirit. I’m not even sure they can still be labeled as up and coming, but man, those guys would fit perfectly at Sugarpop. Sadly, there’s nothing we could say to entice them to sign with us (assuming they weren’t already signed to the amazing Rounder Records). Our biggest offering as a label is artist development. This is an area that major labels are no longer focusing on. They want bands that are ready for primetime and we want baby bands. These bands are generally pretty green to the ways of the music industry, they likely don’t have any connections, they’ve had few experiences, and essentially require a fair amount of guidance at this stage in their careers. We can offer those bands a chance to develop as artists while we coach lightly from the sidelines. Our goal is simple: take bands from obscurity, elevate their profile, and get them on the national stage. It’s our hope that we get to a point where people and even other labels look to us with excitement to see who the next big band will be. 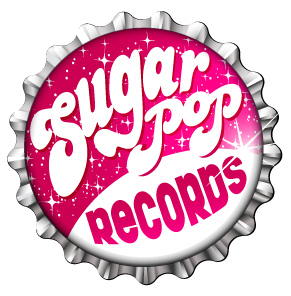 People should be saying, “who is Sugarpop grooming now?” When the final chapter is written in the Sugarpop story, we want to be known as a label that pulled bands from garages and launched long, accomplished careers. What are your thoughts on the future of iTunes and Spotify? DH: iTunes, Spotify, Pandora, YouTube, etc. will be a big part of the future of music. Let’s face it, the game has changed greatly in the past 10 years (thank you Napster) and it continues to evolve at a rapid pace. Who knows what’s coming around the corner, but whatever it is the music industry needs to be prepared to embrace it. No longer is the industry calling the shots. The power is with the people. As music fans, we can hear any song whenever we want. We no longer have to wait for the radio or MTV to play it. Still, music sales, while not what they once were, are still fairly robust. People continue to buy music, they just buy it differently. Long ago you had to buy a whole album to get your favorite song. Now you can just buy the song. Frankly, that just puts the onus on the artists to raise the bar. First off, make better albums. Album filler is a waste of time and money now. Everything an artist does needs to be their best work or they’re putting themselves in jeopardy of having portions of their album cast aside and tossed on the trash heap. Second, artists need to deliver stellar live performances. No amount of streaming songs or YouTube videos will replace the live experience. People can listen for free all they want, but to bare witness to a unique live show, they have still have to pay for that. Lastly, artists have to find creative ways to keep their fans engaged. What can an artist do for their fans that fans can’t get for themselves? This is something that can be challenging for artists, but this outside the box thinking is what’s critical to remain relevant in the industry today. Do you think EMI will be absorbed into Universal or the potential super-major alliance will be debunked by regulators? DH: I believe the Universal deal was completed late last year. Much like radio, it kills me when just a few companies call all the shots. It just waters down and musical landscape. I could go off on this topic, but I think it’s safer for me to say, thank God for the indie labels. We will always provide a place for artists to be artists. What has been your biggest accomplishment so far with Air Traffic Controller? DH: I don’t think there’s a singular accomplishment, but our team is very proud of the position ATC is in. 4 years ago they were playing neighborhood bars and today they are on the brink of releasing their second album (NORDO – yes all caps – on June 26) nationally with a major public relations firm supporting the release. They’ve received countless accolades, have been played on hundreds of radio stations across the US, have had their music on dozens of TV shows and in major retail outlets, have played shows with national acts, and are now preparing for a tour. There’s no doubt this band is ready to take off. Is it ok for me to say I am getting a little teary eyed while answering this question? I care so deeply about what the good people of Sugarpop have done to help get ATC to where they are today. They’ve done all that they’ve done purely on passion. It doesn’t get any more rewarding than that. What’s your favorite non-Sugarpop record of 2012? DH: There’s a good chance I am forgetting an album, but I think I’ll go with Maraqopa by Damien Jurado. If you are not familiar with Damien Jurado, do yourself a favor and first check out his album, Rehearsals For The Departure and then get Maraqopa. Then of course buy all his other albums! This guy speaks the truth.